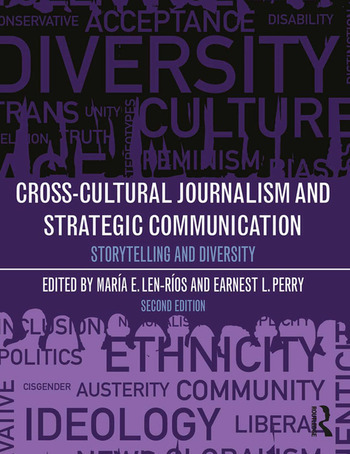 Built using the hands-on and pioneering Missouri Method, this textbook prepares readers to write about and communicate with people of different backgrounds, offering real-world examples of how to practice excellent journalism and strategic communication that takes culture into account. No matter the communication purpose, this book will help readers engage with difference and the concept of fault lines, and to identify and mitigate bias. It provides guidance on communicating the complexity inherent in issues like crime, immigration, and sports, and working with census data to craft stories or strategic campaigns. Above all, the book encourages readers to reconsider assumptions about race, class, gender, identity, sexual orientation, immigration status, religion, disability, and age, and recognize communicators’ responsibilities in shaping national discussions. This new edition addresses the ever-changing political and social climate, differentiates excellent journalism from punditry, and shows the business value of understanding diverse perspectives. A fantastic introduction to this complex but important field, this book is perfect for students, teachers, and early career communicators. The combintion of a hands-on approach and pull-out boxes with the diverse voices curated by editors María Len-Rios and Earnest Perry make this an ideal text for the classroom and beyond. Chapter 3 – Who’s American? Chapter 15 – Next: Where Do We Go From Here? María E. Len-Ríos is Associate Professor of Public Relations at the Grady College, University of Georgia. Before earning a doctorate in Journalism from the University of Missouri, she worked in advertising/public relations and marketing in Atlanta. She taught the cross-cultural journalism course at Missouri for ten years. In 2014-2015 she served as a board member of the Association for Education in Journalism and Mass Communication. Earnest L. Perry is Associate Professor of Journalism Studies at the Missouri School of Journalism. Before earning a doctorate in Journalism from the University of Missouri, he worked as a newspaper journalist in Texas, Connecticut and Illinois. He is the lead instructor of the cross-cultural journalism course at Missouri, which began in 1998 and was one of the first required journalism diversity courses in the country.